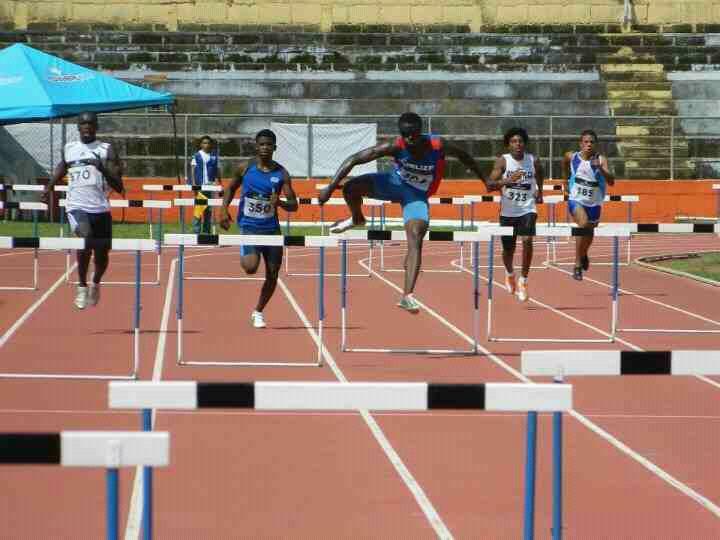 The 23rd Central American Senior Athletics Championship was held last weekend, June 15-17, 2012 in Managua, Nicaragua. 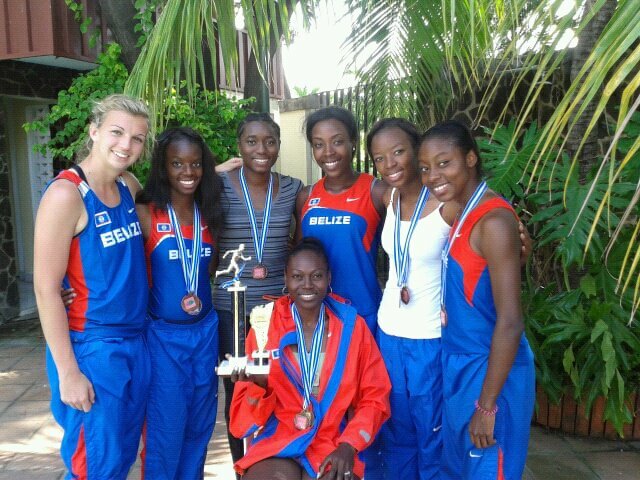 The athletes representing Belize won three gold medals, four silver and three bronze medals. Kenneth Medwood won the first gold medal for Belize in the men’s 400m hurdles on Friday, in 49.81 seconds; while Costa Rica’s, Gerald Drummond won the silver in 53.33 and Guatemala’s Gerber Blanco Mena took the bronze at 53.95. 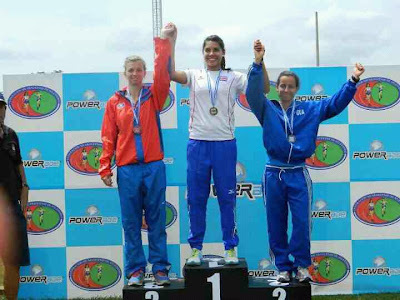 In the women’s long jump on Sunday the 17th, Tricia Flores won the gold medal for Belize with a leap of 5.67 meters; while Panama’s Nathalee Aranda jumped 5.41 meters to win the silver and Guatemala’s Estefany Cruz Perez jumped 5.40 meters for the bronze. Tricia also won a bronze medal on Friday in the 100m event where, the record is held by Belize’s Kaina Martinez at 11.74 seconds, set on June 24, 2011. Tricia clocked 12.34 seconds, while Panama’s Ruth Hunt ran 11.97 seconds for the gold and Costa Rica’s Sharolyn Joseph took the silver in 12.25 secs. Tricia ran 12.50 secs in the heats to qualify, while Charnelle Enriquez clocked 13.35 secs to finish fifth in her heat. She did not qualify to the finals. 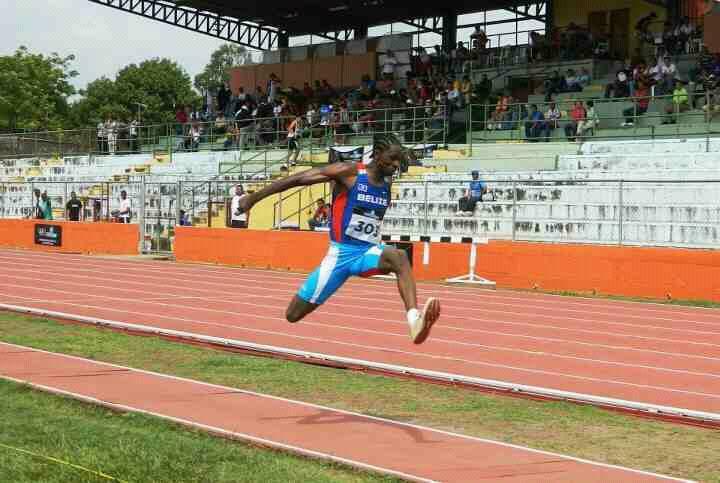 The third gold medal for Belize was won by Brandon Jones in the men’s triple jump on Sunday with a leap of 15.47 meters. Brandon also won silver in the men’s long jump at 7.20 meters; in which Panama’s Juan Mosquera Prado took the gold at 7.24m. Shaneve Swift won a silver medal for Belize in the 200m on Saturday, clocking 24.82, while Panama’s Ruth Hunt ran 24.30 for the gold. Kaina Martinez holds the record at 24.17. 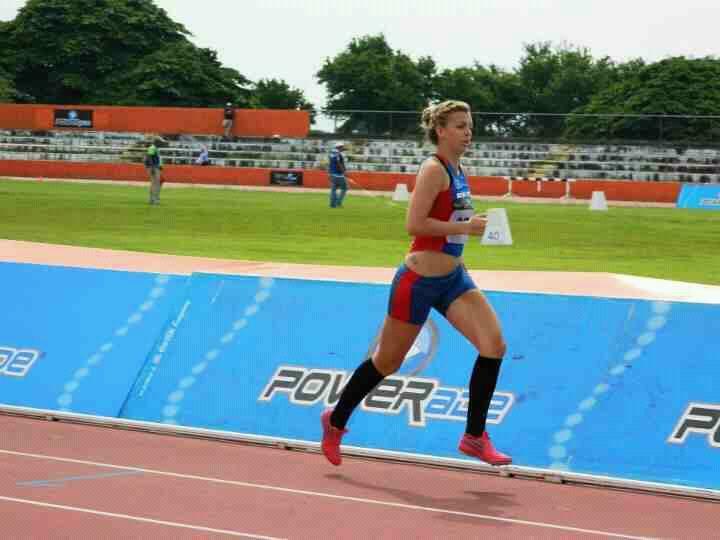 Shaneve also won a bronze in the 400m on Sunday, running 56.93 seconds, while Panama’s Andrea Ferris Quintero took the gold in 55.17 secs and Honduras’ Heidy Palacios won silver in 55.24 secs. 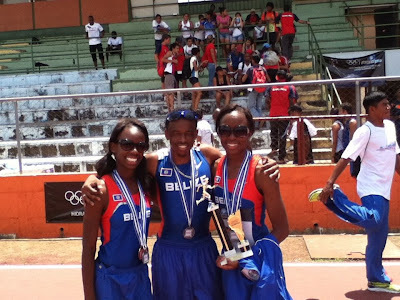 Shaneve’s sister, Shantel Swift, won silver in the women’s triple jump on Sunday, leaping 11.53 meters; while Guatemala’s Estefany Cruz Perez won the gold at 12.08m and Costa Rica took the bronze at 11.34 m.
In the heptathlon, Ana Poras of Costa Rica took the gold, Ruth Morales of Guatemala, the silver and Katy Sealy won the third bronze for Belize with at total of 4201 points. The Belize women: Shantel and Shaneve Swift, Irice Reyes and Charnelle Enriquez, won another bronze in the 4 x 100 meter relay on Saturday, clocking 50.29, while the Costa Rican women won the gold in 47.68 secs and the Panamanians won silver in 47.79 secs. 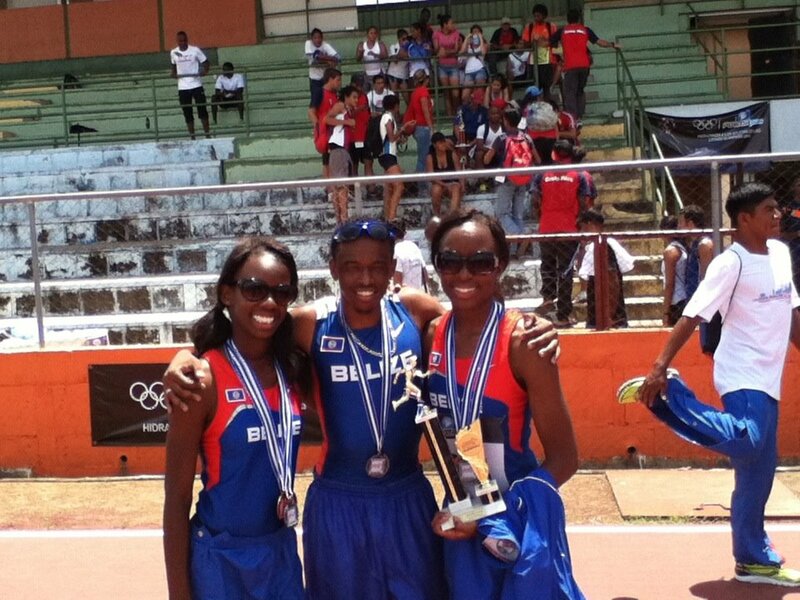 The Swift sisters and Enriquez teamed up with Alexia Neal and placed fourth in the women’s 4 x 400 meters on Sunday. Alexia Neal also won silver in the women’s 400 meter hurdles, clocking 1:07:47. Nicaragua’s Jessica Aguilera took the gold in 1:03:66. Alexia also won a bronze medal in the 100 meter hurdles, clocking 15.87 seconds. Honduras’ Jeimmy Bernardez Santos won the gold in 13.99 secs and Costa Rica’s Naomi Smith Wint won the silver in 15.83 secs. Belize’s Brandon Jones, Kenneth Medwood, Chavis Lopez and Mark Anderson won silver in the men’s 4 x 400 meters, running 3:19.33. 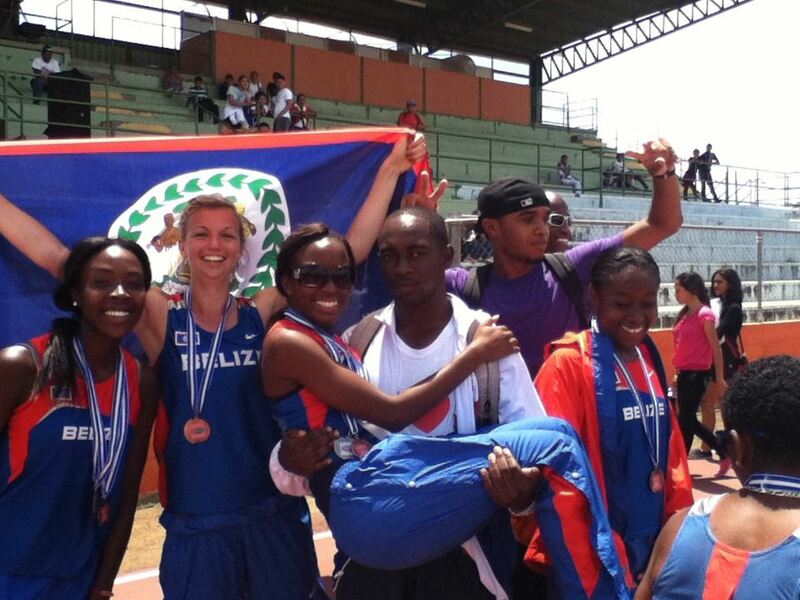 The Costa Ricans won the gold in 3:12.42 and the Nicaraguans took the bronze in 3:19.56.